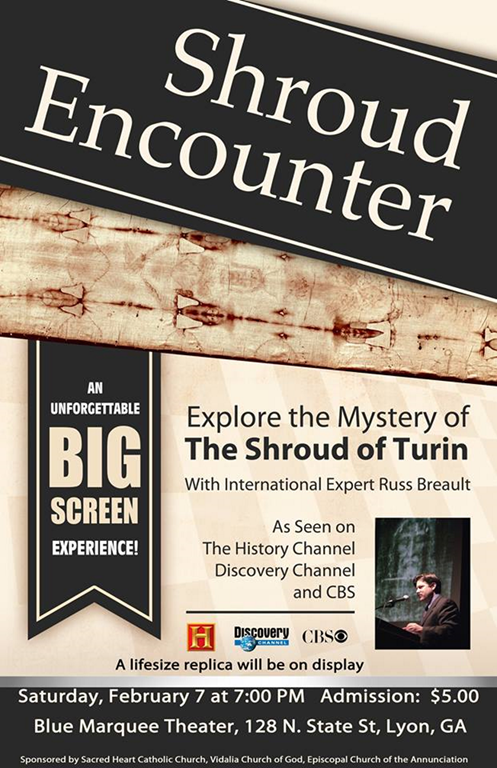 On Saturday, February 7th, Shroud Encounter is coming to the historic Blue Marquee Theater in Lyons, Georgia. (Google Street View, the white pickup is parked right in front, click to enlarge). The theater is behind the Elements Bistro & Grill Restaurant on Northwest Broad Street. The 7:00pm event is sponsored by the Sacred Heart Catholic Church and the Episcopal Church of the Annunciation, both in Vidalia, Georgia. Lyons is (sort of) a part of greater Vidalia, the home of the famous Vidalia onion. Lyons is also home of the famous Real Squeal BBQ and Music Festival. Click on the picture to enlarge. Clicking HERE should also take you to the street view and you can move about the town. 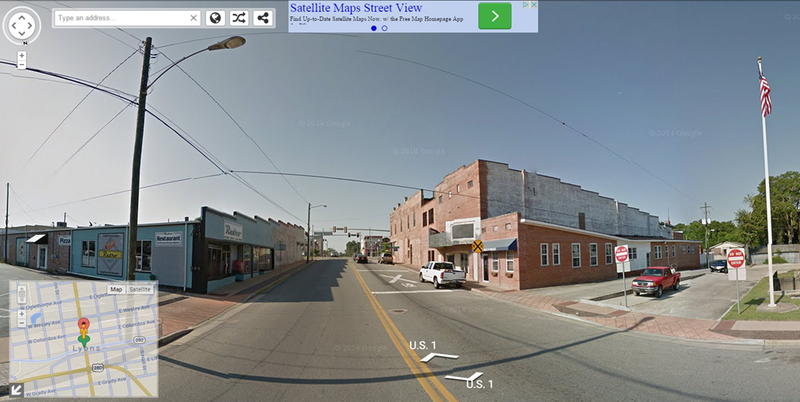 If it doesn’t work just paste in 128 N. State St, Lyons, GA into street view and swivel around until you see the theater.